The Indian government increased Wednesday the import tariff value on gold and silver in a fresh attempt to curb costly imports and stop precious metals from being used to hide billions of dollars of undeclared "black money". The new base price for the duty has been set at $388 per 10 grams of gold and $487 per kg of silver, Economic Times reported. The high import duty on gold was imposed in 2013, after policymakers scrambled to narrow the country’s account deficit. Gold prices were moderately lower in early U.S. trading Wednesday, on a downside technical correction and some profit taking from the short-term traders following recent solid gains. The precious metal hit an eight-month high and poked above $1,200.00 earlier this week. April Comex gold was last down $10.60 at $1,187.80 an ounce. March Comex silver was last down $0.154 at $15.295 an ounce. 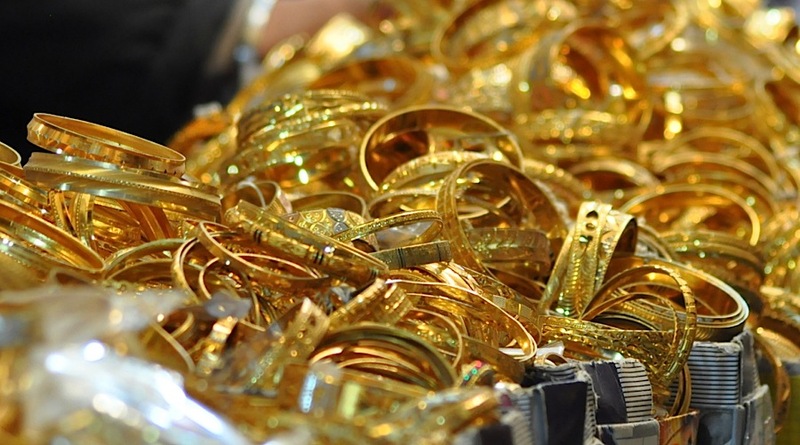 India’s gold imports more than doubled in December to $3.80 billion, mainly due to a sharp drop in global prices. The high import duty on gold was imposed in 2013, after policymakers scrambled to narrow the country’s account deficit and arrest a free fall in the currency following heavy buying of the metal, a traditional store of wealth for millions of poor and rich Indians.